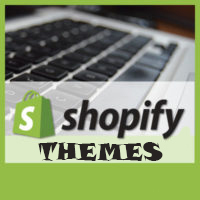 The best way to create a landing page for Shopify is using Shopify Page Builder app. Each page builder app has it own function & price, you should define clearly your need to choose a suitable app. Landing Page Builder uniquely designed to get more sales & conversions for your Shopify store. Shogun is a drag and drop page builder for Shopify with over 1000 positive reviews in the app store. Try it for free on your store for 10 days. PageFly is a powerful pagebuilder with drag-and-drop system and designed to boost conversion rate for your store. With PageFly enhanced content elements, you can build the landing page from scratch or embed multimedia content sections into your blog, product, or collection pages. Are you looking for an easy-to-use page builder with the reasonable budget but still advance enough? Gempages is right choice. GemPages helps you customize your Shopify store with a greater freedom. Buildify is intended to make page building process fast and simple without coding skills. With intuitive drag & drop system in less then 30 minutes you will get a complete custom page with amazing design. Page Builder that helps you in creating stunning landing pages. The Page Builder comes with over 50 ready-to-use templates.